Classical Mechanics is the oldest and best understood part of physics. This does not mean that it is cast in marble yet, a museum piece to be admired from a distance. Instead, mechanics continues to be an active area of research by physicists and mathematicians. Every few years, we need to re-evaluate the purpose of learning mechanics and look at old material in the light of modern developments. Once you have learned basic mechanics (Newton's laws, the solution of the Kepler problem) and quantum mechanics (the Schrodinger equation, hydrogen atom) it is time to go back and relearn classical mechanics in greater depth. 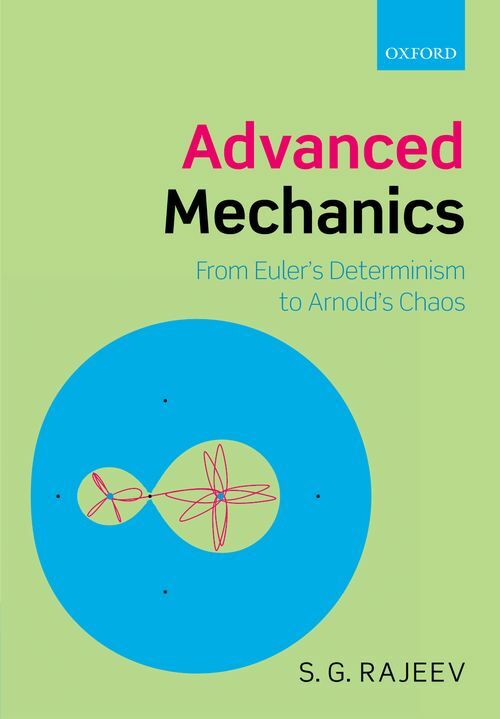 It is the intent of this book to take you through the ancient (the original meaning of ") parts of the subject quickly: the ideas started by Euler and ending roughly with Poincare. We then take up the developments of twentieth century physics that have largely to do with chaos and discrete time evolution (the basis of numerical solutions). Along the way you will learn about elliptic functions and their connection to the Arithmetico-Geometric-Mean; Einstein's calculation of the perihelion shift of Mercury; that spin is really a classical phenomenon; how Hamilton came very close to guessing wave mechanics when he developed a unified theory of optics and mechanics; how Riemannian geometry is useful to understand the impossibility of long range weather prediction; why the maximum of the potential is a stable point of equilibrium in certain situations; the similarity of the orbits of particles in atomic traps and of the Trojan asteroids; about Julia sets and the Mandelblot; what Feigenbaum constants are and how Newton's iterations help establish the Kolmogorov-Arnold-Moser theorem. By the end you should be ready to absorb modern research in mechanics.